What Does The Best Bond Cleaning In West End Cover? Finding and selecting reliable house cleaning in West End is not easy. The most common questions we get asked by people like yourself have been collated below to assist you in making a smart decision. 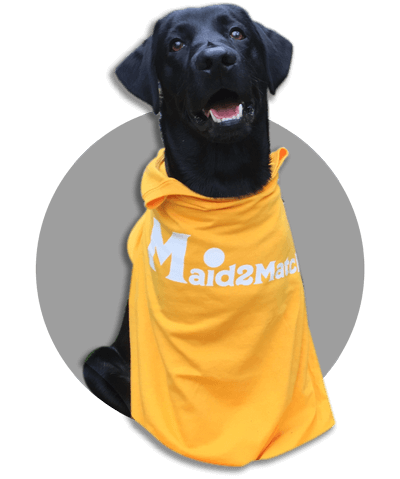 WHY ARE MAID2MATCH WEST END’S BEST AT VACATE CLEANING? The truth is great bond cleaners possess a different skill set than regular house cleaners and therefore requires specific experience, dedication, and a first-class cleaning checklist. At Maid2Match, we personally vet all our cleaners, after having them complete a three-part application form. We provide extensive support and have crafted the most effective bond cleaning checklist you’ll find. Don’t take any chances with your choice of the best Brisbane vacate cleaning, contact us today. West End is one of Brisbane’s inner suburbs that was named after the West End of London by nostalgic English settlers. But before the Europeans came here, this area was inhabited by Aboriginals. If you want to take a trip to immemorial times, go to the Brisbane State High School and imagine the aboriginal camp that was there. West End has plenty of important modern-day landmarks, though. One of those is the West End Library, which opened its doors for the public in 1925. The 1941 Dornoch Terrace Bridge is impressive for its architecture, and you can also visit the Tristram’s Drink Factory on 79 Boundary Street. Built in the late 1920s, this has a gorgeous Mission Revival Style architecture but was turned into a market in the last decade of the 20th century. If you’re a movie buff, you might also be glad to know that the former Trash Video store was featured as a location in the 2010 movie Jucy. But that’s not the only cultural feat of West End, with its numerous galleries and artist-run initiatives. The Paniyiri Greek Festival is the oldest cultural festival in Queensland, being held in Musgrave Park. The Brisbane Pride Festival is also hosted in this park.